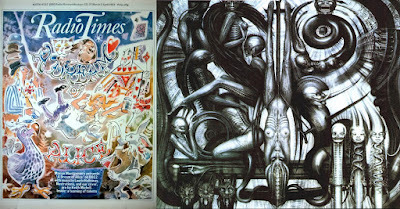 Alien Explorations: Giger's Evolution Chinoise 1981-1984 (work 562) references Kieth Michell's Alice in Wonderland cover for the Radio Times (27th March and 2nd April 1982)? 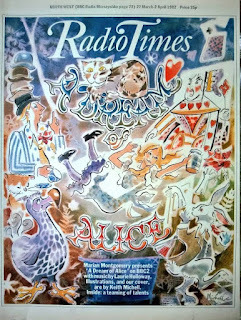 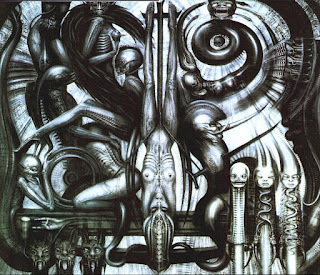 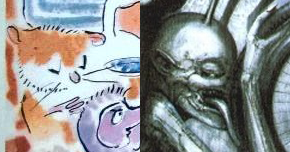 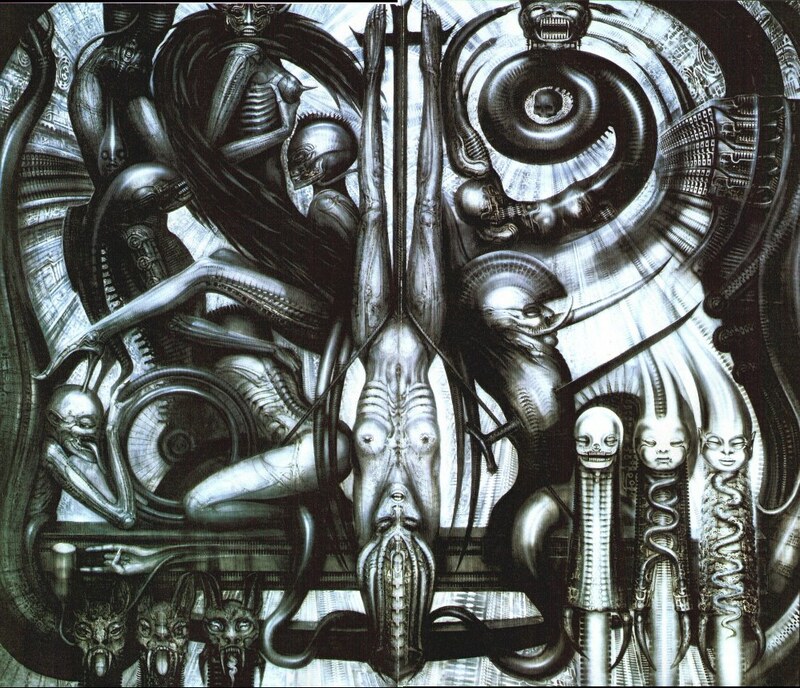 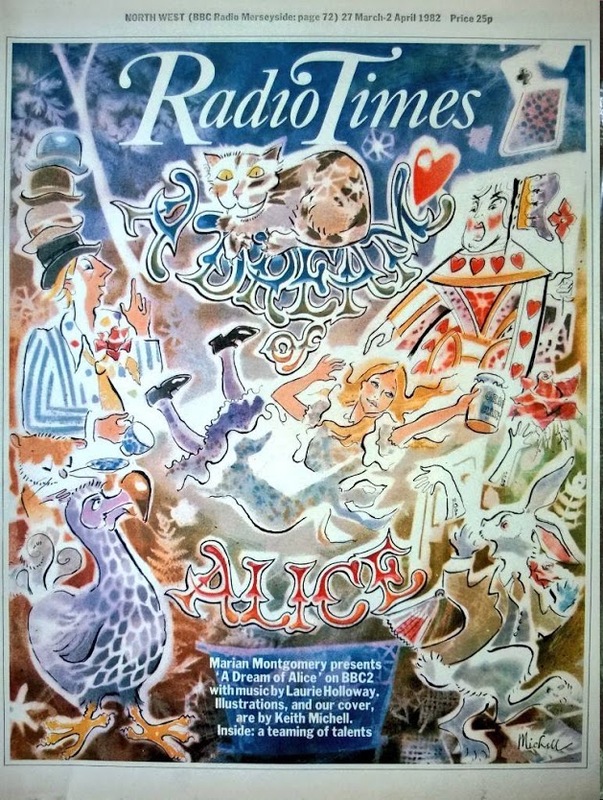 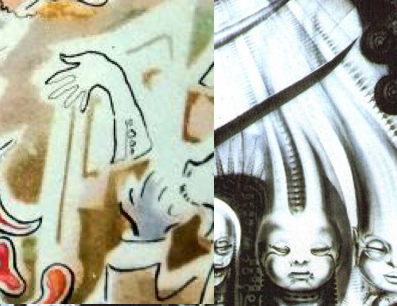 Giger's Evolution Chinoise 1981-1984 (work 562) references Kieth Michell's Alice in Wonderland cover for the Radio Times (27th March and 2nd April 1982)? 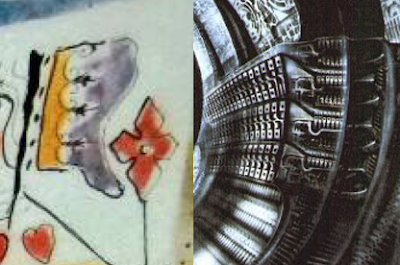 c) Queen of Hearts becomes a strange face upon a curling tentacle with a skull in the centre. 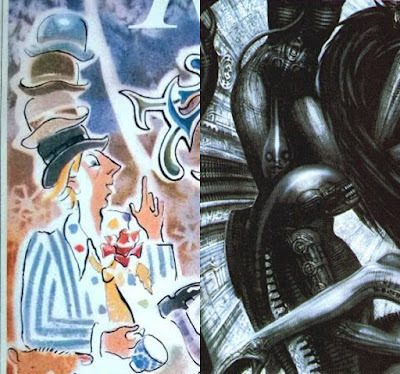 f) The I in Alice becomes the center of the inverted woman's cranium, and the lettering forms tentacles.